If you've ever wanted to hack a Roomba into a mobile DJ, iRobot has you covered. Best-known for its robotic floor cleaners, iRobot's Create 2 is a programmable robot with a USB interface for uploading custom code. 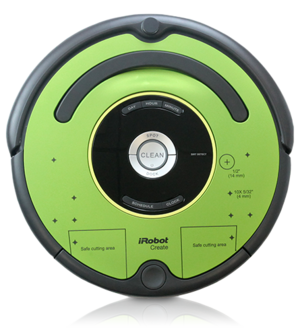 The company says the it's latest offering is essentially a refurbished Roomba 600 series device that sells for $200. It's available now. iRobot is supplying the robot as an educational too designed to enhance STEM education programs. In addition to the programming interface, iRobot includes a faceplate drill template, an overt encouragement for students and hobbyists to get their hands dirty and start hacking. A list of DIY projects on the iRobot site provides instructions on how to turn the Create 2 into a camera bot, a mobile DJ, or as a "lightpainting" tool, using LED lights and long-exposure photography. 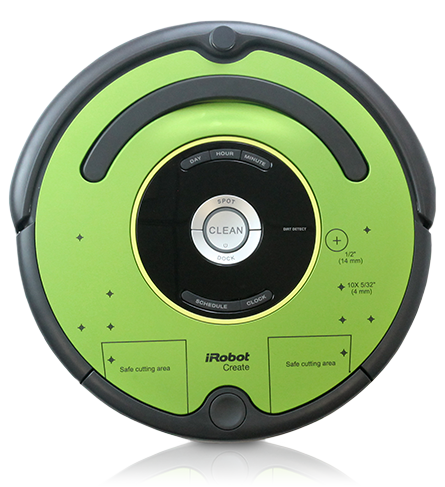 The iRobot Create 2 has a lime green faceplate that's designed to be modified. iRobot even provides files and instructions to 3D-print entirely new parts, such as a larger waste bin. As the name suggests, the Create 2 is a second-generation product. 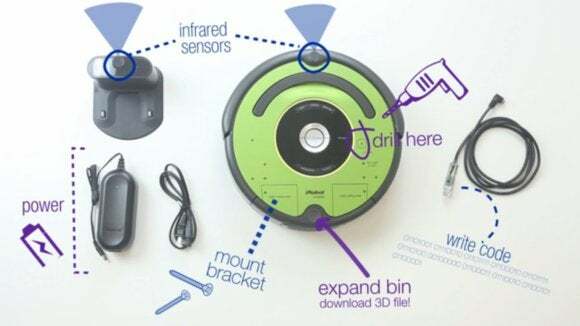 Roomba stripped the vacuum cleaner attachment to create its first-generation Create (as well as the second) to create a platform that could be used to transport hamsters or play laser tag; whimsical tasks that nevertheless taught the Create's owners how to program and use the robots. "Robots have a cool factor unlike any other learning tool," said iRobot chairman and chief executive officer Colin Angle in a statement. "Create 2, with its online resources, reliable hardware born of the award winning Roomba, and ease of customization simply delivers more robot than anything available to students and educators at or near its price. We are so excited to be able to make this available to the educational community." iRobot also said that it had been named the lead organizer and founder of National Robotics Week, which will be held April 4-12, 2015. Angle has previous complained that not enough is being done in the field of robotics. ""If 25 years ago, you'd said, 'Do you think you'll change the vacuuming industry?' I might not have said, yes," Angle told Computerworld in an interview after the RoboBusiness conference in Boston in October. "At least we have that in the surprise win column. The rest of it is either not surprising or disappointing." Why this matters: Frankly, any robot or gadget can serve as an introduction to programming. But ordering about something that can move and react somewhat autonomously adds to the fun. And honestly, who wouldn't want to design a nachobot that could fetch snacks from the kitchen?